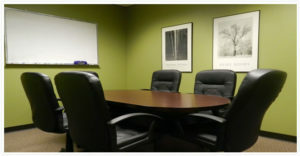 Two focus group rooms available. 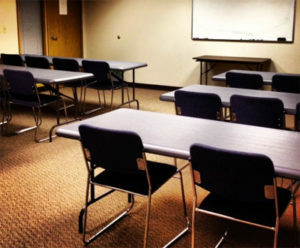 Board Room Style can comfortably seat 8 to 12 participants. Layout is 16 by 20 ft.
Class Room Style can be configured for classroom, free form or boardroom style groups. Spacious 24X21 layout. Both rooms feature flat screen TV/Monitors. Viewing rooms feature flat screen monitors driven by high definition video camera recording. Bellevue location has easy access and plenty of free parking.